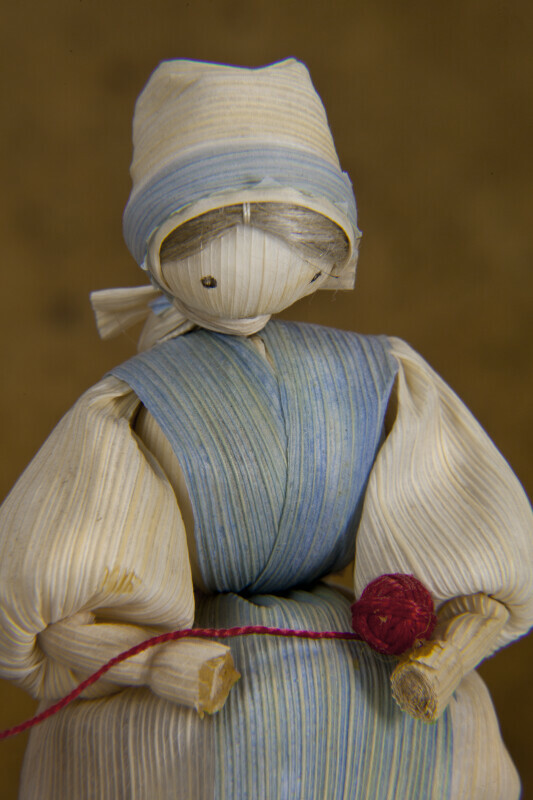 Female doll that is handcrafted from corn husks. The husks are formed into the body, arms, head, dress and scarf. The woman has a blue corn husk in the front of her dress, and is sitting on a wood bench with a ball of yarn. Other colored yarn balls are in a basket. Her hair is made from fibers. The figure stands 6 inches (16 cm) tall.